Njerald posted a wheel that was listed on eBay but I was expecting a run of the mill steel wheel. Is this what is lurking under those cheap plastic cookie cutter wheel covers? I was thinking of getting replacement wheels but if this is what they look like I'd be happy with them minus the wheel c0vers. Can any Niro owners confirm this is what is under the wheel covers? 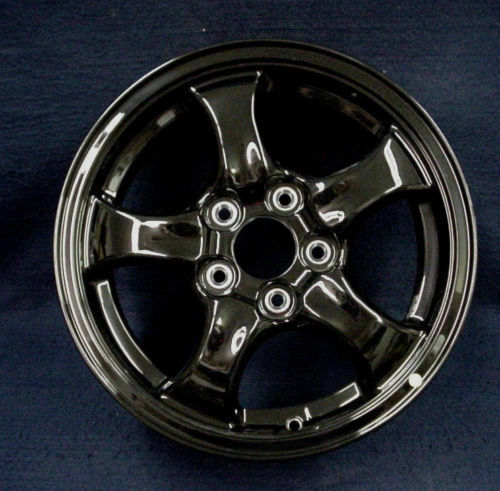 I want to buy the 16 inch rims, do you have a link to the wheel posted on eBay? ...Homelink Compass Mirror, tinted front windows, chrome window trim and door protectors, Stainless exhaust tip/license plate frames, center console tray, Kia rubber mats w/ cargo mat, mudflaps, LED interior/license plate lights, Sport pedals..
oh well, thanks. I mentioned this in another post, but went to the dealership and the map LED lights on my touring are not LEDs so they are trying to figure out more info. Not much to figure out, the Kia website is wrong. Does anyone know what the bolt pattern and offset is for the wheels on Niro? bolt pattern is the same 5x114.3 Kia/Hyundai standard and Ngerald stated I think the 18" is 40 offset, but I'm not 100% sure about the offset. I think he stated anything between 40-45 should be ok. Not sure how offset translates when you opt for different diameter rims. I was surprised to see that 16" stock OEM rim sold for $99 plus around $40 shipping. One other question regarding removing of wheel covers for the 16" Niro wheels. Does removing the covers reduce the aero effect to a significant degree? I was wondering if removing the covers for weight savings would outweigh the reduction of aero effect. What say you? Add some Cush to Seats?